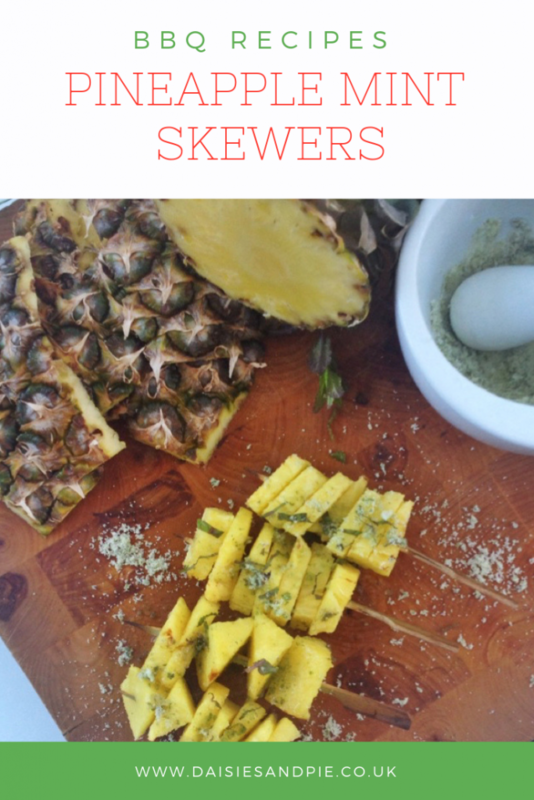 Our pineapple skewers with minty sugar make a tasty fresh and fruity zingy dessert, ideal for serving at BBQ parties. They’re quick, easy and oh so moreish, we love these with a little kick of chilli. Using a pestle & mortar bash up the mint leaves - add the sugar and grind the mixture together, I like to add a pinch of chilli flakes here too as I like a little extra kick -but it’s also delicious without. 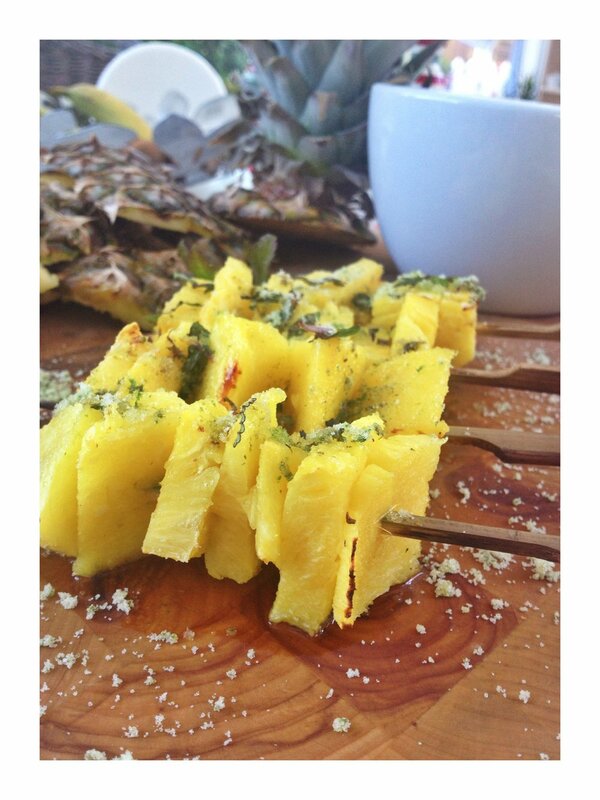 Thread the pineapple chunks onto kebab sticks. 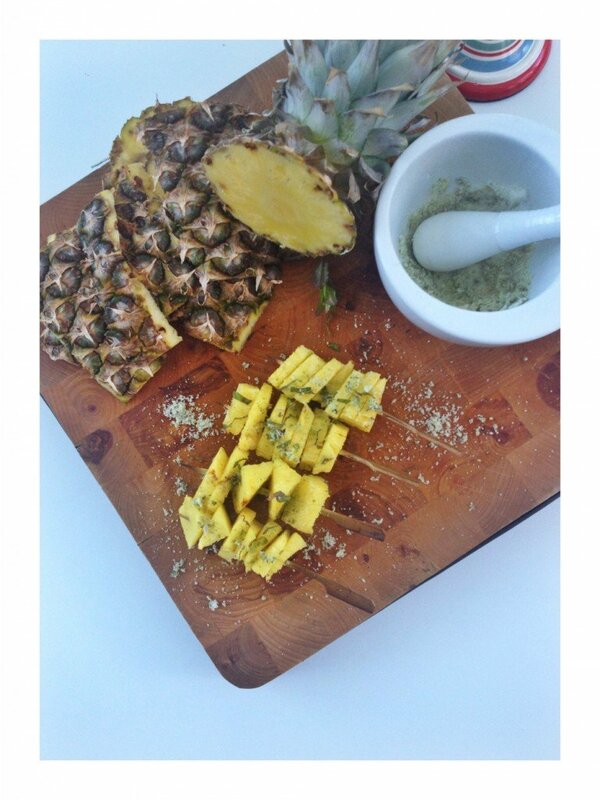 Rub the pineapple with the mint & chilli sugar. Ideal served after a burger or spicy curry. Try serving with a scoop of vanilla ice cream. Skip the chilli and just keep the mint sugar. Skip the sugar and drizzle with honey. Thread on juicy peaches amongst the pineapple. Serve them just as they are – let them cool a little before eating.